Washed out at its core and left to dry in the baking beat of the Sardinian sunshine. each little droplet rising, dissipating into the hot air to fall again at another time like flashes of nostalgia that rise and fizz and drift, selectors #13 is a myriad of spaces and caves that reveal themselves again a hundred times a minute. Pauli is a longtime collector of balearic sounds who hails from the Sardinian coastal capital of Cagliari, known for its colourful façades, boulevards and aperitvo spirit. 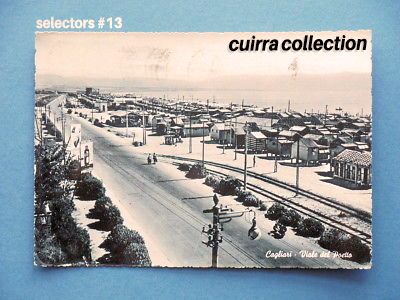 Going by the name Cuirra Collection, Pauli’s breadth of knowledge of sizzling, blissed-out sonic waves sent us knocking for a mix, and here it is. Selectors #13 is two hours of receding sun that folds itself into your surroundings, settling into the cracks left by the things left unsaid. This is balearica Sardinia from a true collector and lover. Find Cuirra Collection and his beautiful record collection over at Instagram: @cuirra_collection.